So this is a little comparison of EZdrummer 2 vs. Addictive Drums vs. Steven Slate drums 4 vs. Superior Drummer 2. To start I’ll say that Addictive Drums sound really good, it’s very easy to use, it has tons of options and it’s not very expensive. It comes with a lot of functionality also. It also has great sound and there’s just a whole bunch of Midi riffs and breaks that come standard with the package. You can just drag them onto the midi track and bam! you have instant drums. It’s really amazing how you can get the Ludwig John Bonham track sound right out of the box, it’s an absolutely incredible setup. 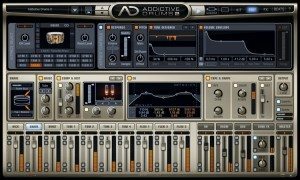 Addictive Drums is also always running sales and actually has a sale going on right now for 99 bucks and it comes with two free kits which is pretty damn amazing. 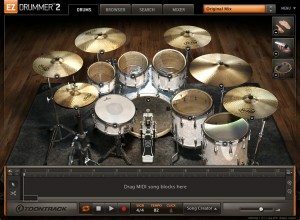 AD has a lot of the advanced features of Superior Drummer 2. 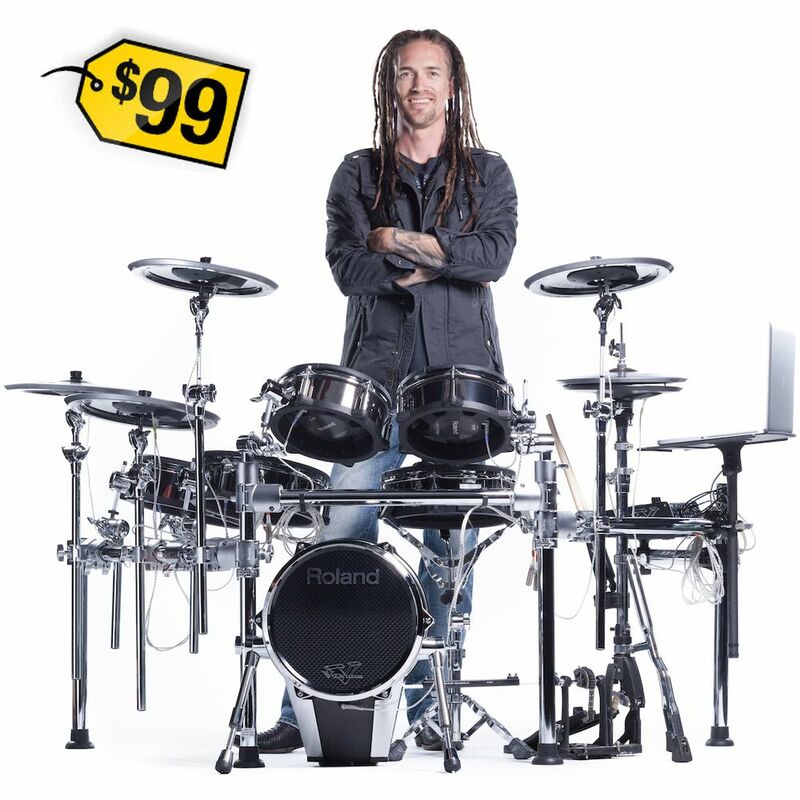 AD is actually somewhere in between EZdrummer and Superior Drummer. I mean they have a lot of advanced features like Superior Drummer has, like I said before, but lack the ability to use your own samples (IIRC). A lot of people I’ve talked agree that AD sounds much better than EZdrummer. I know this is beginning to sound like an advertisement for AD but it’s absolutely not. This is just a comparison with data that I’ve collected and yes with EZdrummer you have control over the sounds that they give you ADSR or compression and Distortion, mic placement, room reverb, drum location, mic blend, effects, and it does have quite a large selections of drums that you can pick from but with AD you have that and editable mappings ( I don’t think that EZdrummer can do that although I may be mistaken about that). There’s a just a tremendous library they’ve included of midi beats, bigger than the set that comes standard with EZdrummer. There’s a lot more that I really can’t off the top of my head come up with. AD has a lot of functionality; the interface is clean, in my opinion better than EZdrummer. Superior Drummer 2 is also an amazing tool and a great piece of software. Superior Drummer lacks the ability for symbol swells, although you can create cymbal swells. The one thing that’s missing for Superior, I would say, is the ability to control cymbal grabs. It’s hit-and-miss when it comes to the sounds you’re actually trying to produce. You can actually program the AD2 for symbol grabs. You would have to separate the symbols with the attack increased a little to wash it out quickly and it will give you the symbol grab effect. But it is definitely difficult to program techniques such as symbols swells and snare drags and things of this nature with Superior. I really enjoy sampling with a Superior Drummer 2, it’s just amazing. I’ve actually used it to sample on to my acoustic kit and then I blend them adding the human aspect in between the two functionalities. I really love the acoustic sound and the sampling from Superior especially for snare work ( so I don’t have to do too much compression). As far as the Steven Slate Drums in comparison to Superior Drummer, in my personal opinion, Superior drummer 2 is definitely the way to go. 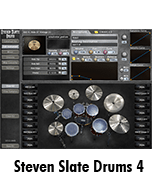 Steven Slate Drums have a really complicated interface which is hard to get your head around at first but once you do it’s pretty seamless and can be very effective. Superior drummer 2 is very good for mixing but you there is a learning curve and you have to be really good at mixing, but in the long run it is very effective when it comes down to doing the actual mixing. Superior Drummer is really close to the price point of Slate and the SDX expansions are a lot better with samples and more comprehensive. You can really mold your sound to get a better mix using Superior drummer 2 then you can with Slate. And you can get Superior Drummer expansion packs on sale all the time; they’re like always on sale practically monthly or maybe every other month. In my opinion, and I know they’re like assholes excuse me; Superior drummer 2 is a better choice over Slate especially if you’re triggering the samples with the drums instead of programming them in. Another side note about Addictive Drums is that they are a lot closer in functionality to EZdrummer and they’re real close in price. So just to really bring it all together, Which Drum Software Is the Best ? I love these different software’s and they all have different purposes and should be used for different things. Addictive Drums and EZdrummer are really easy to use and Slate and Superior are made for creating and molding particular sounds, very authentic personal sounds. I’ve read some reviews that say that Superior Drummer basically is EZdrummers’ big brother but with more options and bigger kits and I kind of would have to agree with that. And so between Addictive Drums and Slate and Superior Drummer I’m going to have to say Superior drummer 2 definitely takes the cake and of course opinions are like assholes as I’ve said before, but if you’re looking for good mixing an authentic sound and for your own sound; if you’re creating something very authentic, Superior drummer 2 definitely is the way to go. One thing that I need to add is I think Superior may be easier for getting grooves and midi things going and they also offer more variety in hits (flams, choked cymbals), but i find Slate’s kits to sound a whole lot better in a mix for anything other than that Djenty metal progressive stuff. Lastly, Slate pretty much sounds better out of the box Than Superior.